Home UL HAS TO RECEIVE RS.122.3 MN FOR RIDES BY MR AND CO.
UL HAS TO RECEIVE RS.122.3 MN FOR RIDES BY MR AND CO. The Presidential Secretariat and the Ministry of Foreign Affairs has to pay Rs. 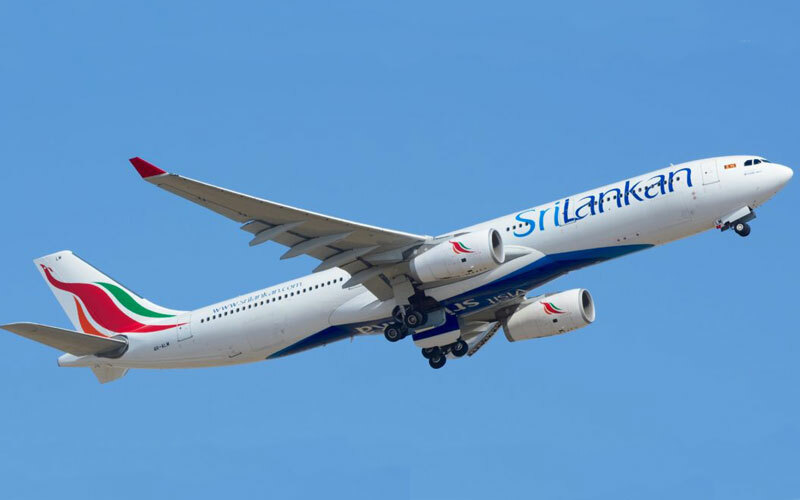 122.3 million to SriLankan Airlines for several flights chartered for former Head of State Mahinda Rajapaksa’s delegations, Presidential Commission of Inquiry (PCoI) on irregularities at SriLankan Airlines, SriLankan Catering and Mihin Lanka was informed yesterday. “This outstanding amount is for several flights out of 65, chartered between March 2009 and December 2014,” Head of Revenue Management and Planning of SriLankan Airlines Sumudu Upatissa told the PCoI. He said most of these flights involved the then Head of State and he used to travel by the charter flights. In the normal process, he said they charge a 2 percent interest for the chartered flights, but they had never charged interest for this outstanding amount. “Rather they wanted to obtain the capital amount,” he added. He said that SriLankan had written to the institutions requesting that their debts be settled but he was not aware whether they had responded to their notice. During his previous testimony, Upatissa informed the PCoI on several chartered flights booked by the Presidential Secretariat during the Rajapaksa administration. It includes flights to Johannesburg, Tel Aviv, Rome and Bolivia, where SriLankan had no regular flights. A chartered flight to Johannesburg in December 2013, carried only 26 passengers though it had seating facilities for 243 passengers. The Presidential Secretariat paid the airline Rs.36 million for the flight. The aircraft, A340, had 38 business class seats and 205 economy class seats. Upatissa said for another chartered flight to Tel Aviv, Israel in January 2014, the Presidential Secretariat had paid the airline Rs.46.3 million and 48 passengers had travelled in it, although 312 passengers could be accomodated. The plane landed first in Amman, the capital of Jordan, where 42 passengers got off. Only six people flew to Tel Aviv. According to Upatissa, another chartered flight booked by the Presidential Secretariat to take 39 passengers to Bolivia in June 2014 cost the state Rs. 57 million. The aircraft could carry 312 passengers. The Presidential Secretariat has not paid Rs. 43.4 million for a chartered flight to Rome in October 2014. Only 69 passengers had travelled in that aircraft, which could carry 312 passengers, he said. However, out of the total Rs. 122.3 million, the portion to be paid by the Presidential Secretariat is Rs. 114 million.